Cover Story, Sacoa 20 Years serving the amusement industry worldwide! A sophisticated wireless debit card system designed to manage every activity in an entertainment center was not commonplace 20 years ago. Enter Sacoa, a game changer. The company has roots in the entertainment field that go back 55 years, with the PlayCard System in operation for 20 years. Company principals are Jorge, Sebastian, and Pol Mochkovsky. 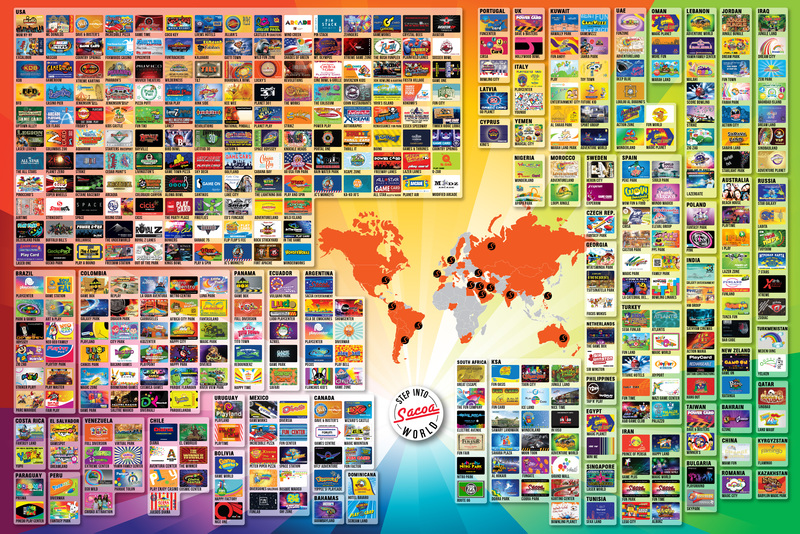 Sebastian provided background and history on the development of the Sacoa Play-Card System, which is currently installed in over 800 locations in more than 50 countries.